The Union of Solicitor General Employees welcomes the Parliament of Canada’s Standing Committee on Public Safety and National Security’s report on Operational Stress Injuries. 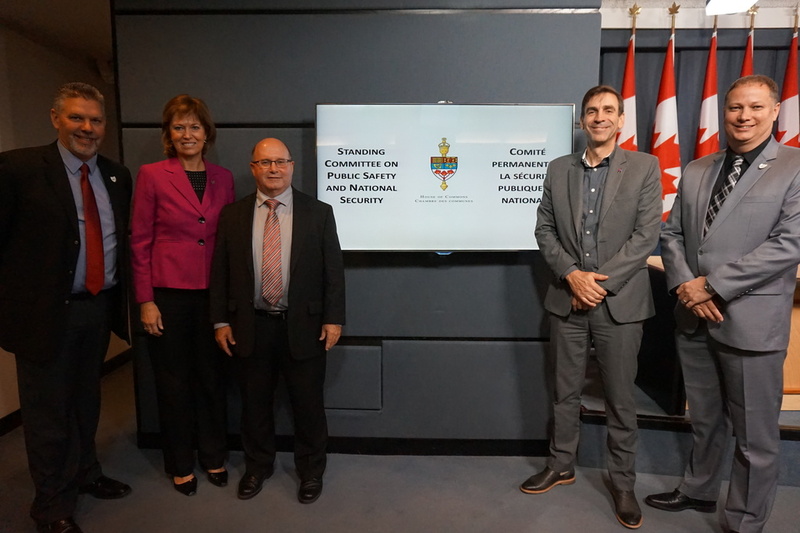 The report, Healthy Minds, Safe Communities: Supporting our Public Safety Officers Through National Strategy for Operational Stress Injuries, released by a House of Commons Committee comprised of MPs from all federal political parties is a step in the right direction for creating healthier and safer work environments for public safety workers in Canada. In May of this year, USGE National President Stan Stapleton and National Vice-President David Neufeld were invited to make presentations to the committee. During their presentations, Mr. Stapleton and Mr. Neufeld emphasized to Members of Parliament that the Committee’s investigations regarding operational stress injuries should go beyond first responders and encompass all public safety workers in this country. In particular, USGE emphasized that much of the work undertaken by federal employees of the Correctional Service of Canada, the RCMP, the Parole Board of Canada as well as the departments of Justice, Public Prosecutions and Public Safety, among others, may expose individuals to a significant risk of incurring an operational stress injury, through the direct or indirect exposure to traumatic incidents or written materials. “USGE’s message was clearly heard by Committee members. Expanding the definition of public safety officer to include many of the members represented by USGE across 16 federal departments is key to understanding the frequency and impact of their exposure to traumatic experiences, direct or indirect” stated Stan Stapleton, USGE National President. The report outlines 16 recommendations that the Committee hopes will help guide the work of Public Safety Canada as it develops a national plan regarding the assessment, treatment, and long-term care of Operational Stress Injuries in Public Safety workers in this country. One key recommendation calls for the creation of an expert working group on Operational Stress Injuries as well as an advisory council to guide its work. The advisory council would be comprised of stakeholders from various public safety officer organizations, as well as unions, academia, governments, provincial and territorial governments, and First Nations. The expert working group’s focus would be on establishing the most effective training and education protocols for employees who are exposed to potentially traumatic incidents or written materials. “I am encouraged that the proposed expert working group would develop training and education regarding operational stress injuries that affect individuals working in the broader public safety realm. This will kick-start an important culture change within public safety workplaces, and help to de-stigmatize debilitating mental health issues suffered by our members,” emphasized Stan Stapleton. “The Committee evidently shares USGE’s concerns about the development of a training process that will effectively and meaningfully increase the resilience and preparation that employees should have before exposure to trauma occurs,” added Stapleton. Finally, the report recommends that federal government explore the possibility of introducing legislation that would eliminate the need for public safety officers to prove to Provincial workers’ compensation boards that their work-related exposure to trauma directly contributed to symptoms related to operational stress injuries. This type of presumptive legislation would be a welcome development for all public safety workers given that only a handful of provinces have passed similar legislation.